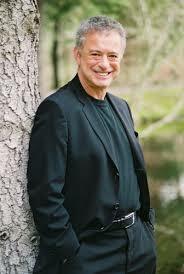 Alan Weiss is one of those rare people who can say he is a consultant, speaker, and author and mean it. His consulting firm, Summit Consulting Group, Inc., has attracted clients such as Merck, Hewlett-Packard, GE, Mercedes-Benz, State Street Corporation, Times Mirror Group, The Federal Reserve, The New York Times Corporation, Toyota, and over 500 other leading organizations. His prolific publishing includes over 500 articles and 60 books, including his best-seller, Million Dollar Consulting (from McGraw-Hill) now in its 25th year and fifth edition. His newest is Million Dollar Maverick: Forge Your Own Path to Think Differently, Act Decisively, and Succeed Quickly (Bibliomotion, 2016). His books have been on the curricula at Villanova, Temple University, and the Wharton School of Business, and have been translated into 12 languages. Morris: Before discussing Million Dollar Maverick, a few general questions. First, who has had the greatest influence on your personal growth? How so? Weiss: My grammar school teachers, who are recognized in a couple of my books. They taught me how to read with comprehension, write with expression, listen with discernment, and speak with influence. They were far more powerful for me than any subsequent undergraduate or graduate professor. Weiss: Working at a training firm in Princeton in the 70s. I traveled the world and learned the business in the trenches, and left as the number two person in the company. I was a globalist before it was fashionable, and I saw what the real problems were on the plant floor and in the customer’s office or home. Weiss: I was fired as CEO of a consulting firm in 1985 by a clueless, wealthy man who owned it. I resolved no idiot would ever again control my fate. I went out on my own with a vengeance. When people are fired, they become distraught or angry. I was angry. Weiss: The actual four degrees, very little. They mean nothing from a marketing standpoint. But I made it a habit to read every word on every page of every book I was assigned. I thought that’s why I was there, that’s why I had taken the loans to pay for tuition. Learning how to learn—heuristics—was extremely helpful. I also saw great and horrid examples of teaching and recognized the difference. Morris: What do you know now about the business world that you wish you knew when you went to work full-time for the first time? Why? . Weiss: That it’s run by people in executive suites with the same personality issues, emotions, politics, and insecurities as the people on the front line and on the plant floor, but they’re just playing with more money. That’s important to know to avoid being intimidated by large offices and big mouths. Weiss: The Grapes of Wrath: You NEVER give up. Gone With the Wind: A way of life will be subsumed by higher technology and greater industrialization. Titanic: Normative pressure can drive people to participate in even a horrible experience. And: Nothing is unsinkable. Weiss: A platitude. People are seeking strong leaders who can light the way for the journey. If they weren’t, they’d do it themselves. Consensus leadership is one of those things that looks good on paper and fails as soon as you take it out of the box. Weiss: I agree with that. Times change more quickly than anyone realizes. But it’s tomorrow’s dangerous idea that we want to create. Weiss: I love Asimov and I concur. I also find that science and religion are first cousins, not arch enemies. Weiss: That’s been proved time and again with clients I’ve observed. No strategy fails in its formulation, where it winds up in fancy binders gathering dust on distant shelves. It’s the accountability for implementation that fails, and that’s what I’ve urged my clients to take great care with. Weiss: Lincoln. He allowed his principles to guide him through horrible times, terrible bloodshed, and nearby rivals. He was concerned with what was right, not what was popular. Weiss: We must understand that people change every day in every way—on the highway, at their jobs, with their families—and it’s a myth that they resist change. They respond well to an attractive future. It’s the JOURNEY that causes problems if it’s ambiguous. True leaders have to say, “Follow me. I have a light, and I’m on the horse, just keep close. If anyone shoots, they’ll hit me first.” Look around, people aspire to change and to better ways daily, IF they feel the route is safe. Weiss: Retaining top talent in shifting conditions. Turbulence is the new normal. The jobs lost and people underemployed today are NOT the result of the last recession, but rather a seismic shift in the nature of work. This will continue. Our schools can’t keep up with it very well. Leaders need to create a succession plan and talent attraction based on FUTURE needs, not today’s needs. When Kodak declined in the film business it was still hiring chemical engineers, even though photography was turning electronic. Morris: Now please shift your attention to Million Dollar Maverick. For those who have not as yet read it, hopefully your responses to these questions will stimulate their interest and, better yet, encourage them to purchase a copy and read the book ASAP. Weiss: I decided in early 2015 when an annual group of elite consultants — the Elite Retreat — I facilitate suggested I write my memoirs. My wife thought that was too self-indulgent, even for me, so we adapted it to the life lessons I’ve instantiated for myself, and how others can do the same. Weiss: Not at this point in my career! But the overwhelming reality is that common sense in invaluable, critical thinking skills are essential, we all need to simplify not complexify, and it’s clearer to me than ever that most—most—people in these times have self-esteem issues ranging from difficult to dysfunctional. Weiss: It doesn’t. It’s a guidebook to use common sense and pragmatics to improve your life and work and to synergize your existence. Morris: Since the book was published, presumably there has been substantial feedback. Did any of it come as a surprise to you? Please explain. Weiss: It reached just about 700 on the combined Amazon lists (includes fiction) which floored me. Typically my books are in the top ten in consulting and entrepreneurialism, but this was a surprise. We also have people ordering large numbers (the record was 750) which they wanted to give to others to help them. Morris: In his classic work, Denial of Death, Ernest Becker who acknowledges the inevitability of physical death but asserts that there is another form of death than CAN be denied: that which occurs when we become wholly preoccupied with fulfilling others’ expectations of us. How do you explain the sad fact that so many people are unwilling and/or unable to make that denial? Weiss: We are inculcated to be humble, to sacrifice our own objectives for others. I call this PTP (propensity to please) and PTH (propensity the help). We seek affection more than respect, because we’re basically low in self-esteem and seek external validation. The truly powerful people self-validate. (I spent 90% of my high fee consulting career telling clients that their plans were good—merely affirming their own judgment—and only 10% introducing radically new concepts.) We tend to organize the universe so that we don’t have to explain it, using as much faith to believe in a “big bang” as we do to believe in a deity. Essentially, we’re on a hunk of rock traveling at 85,000 mile per hour around an exploding star. If you probe deeply enough, people are both afraid of what they don’t know and afraid of being afraid. (Hence, the resort to dumb accommodations, like walking on hot coals and sweat tents.) It’s interesting that we condemn suicide but think nothing of throwing our lives away a little bit at a time daily through self-denial, fear, and procrastination. Morris: In your opinion, should a destination be selected before embarking on a path to it? If so, what are the best criteria by which to make that selection? Weiss: No. Stay in the moment, be spiritual, attend to the world around you. If you remain open, you’ll find your path when it emerges. Don’t chase money and try to love it. Find what you love to do and figure out how to make money with it. REAL wealth is discretionary time. Morris: Extending the path/trail/exploration metaphor a bit, what are your thoughts about taking a well-worn path through familiar territory to reach a point at which to embark on a journey to explore territory that is not? Weiss: I have no idea what that question means or seeks. If I had to guess, my response would be: Get out of the herd and be a maverick. The herd will not allow you to be a unique person. It will trample what’s in front of it. Get out. Now. Morris: If there were a Rushmore-like monument for mavericks, who would be your four selections? Please explain your selection of each. Sinatra: Changed modern popular music and put the emphasis on the singer, leading to Elvis, the Beatles, Michael Jackson, and the rest. He did it his way. He also championed civil rights. Interesting: He sang not about love, but about loneliness. And he sang the American Songbook like no one before or since. Sandy Koufax: The best pitcher who ever lived, studied the dynamics and mechanics before modern medicine and surgery, for six years was unhittable. Refused to pitch in a World Series on a Jewish holiday. With Don Drysdale, became an early collective bargaining force, holding out to force better pay from tyrannical owners. My idol. My last dog was named Koufax. Life Sinatra, the very best at what he did and loved. John Paul Jones: Took on a larger ship (the Serapis) and with a hole in the side of his (Bonhomme Richard) that you could drive a coach and four through, instilled in his crew a will to win against huge odds (I have not yet begun to fight). He won, and the only way to get home was to take over the Serapis as his ship was sinking. Jesus Christ: He comforted the afflicted and afflicted the comfortable. Morris: One of the several reasons I think so highly of your book is the fact that the advice you offer is rock-solid, sharply focused, and anchored in real-world experiences, including your own. Time and again you stress the fact that important decisions (including decisions to do nothing) can have serious consequences, for better or worse. There are common concerns that a reader may have. For example, what are the most serious consequences if you don’t differentiate yourself by developing a contrarian mindset? Weiss: The same as being a soap bubble in a dish being washed. You will either dissolve or eventually go down the drain. There is no distinguishing value you provide to merit your survival. Morris: If you don’t lose the fear of failure? Weiss: If you’re not failing, you’re not trying. NO ONE who ever succeeded didn’t fail (e.g. Lincoln). West Point studies defeats. Morris: If you don’t earn trust and respect that increase your influence? Weiss: Consulting is about trusting relationships. So is love, for that matter. A great deal of life is determined by whether or not others feel we’re merited the benefit of the doubt. Morris: If you don’t develop critical thinking skills? Weiss: You’ll be consigned to vacillation and failure work. Worse, you’ll never be there first. Morris: If you don’t learn “the hard way” how to get serious? Weiss: I don’t believe in “no pain, no gain,” except in the gym, and event here I’m moved to throttle my personal trainer. I believe in learning the “smart way.” And that’s what I do, time and again. Morris: If you don’t compartmentalize pain to avoid extended suffering? Weiss: Pain is unavoidable, suffering is optional. Suffering uses up energy and wastes time. Confine your suffering and move on. Morris: I was convinced long ago that pain is the “tuition” of wisdom. What if you don’t master the art of the setup? Weiss: You can’t learn to ski by reading a book. You have to get your act together and go try it. Analogously, you have to prepare well for your interactions, bounce back from failure (resilience), have the right equipment and mindset, and set the right environment. WE do those things, we shouldn’t wait for others to do them for us. Morris: If you don’t communicate with intent, purpose, and agility? Weiss: Language controls discussion, discussion controls relationships, and relationships control business. That’s an immutable sequence. Every business today is a communications business, as are all parts of your life. Morris: If you don’t attract people who attract other people? Weiss: We need this geometric expansion to make us objects of interest. Morris: And finally, what happens if you don’t adopt a mantra of “life, contribution, and success”? Morris: For more than 30 years, it has been my great pleasure as well as privilege to work closely with the owner/CEOs of hundreds of small companies, those with $20-million or less in annual sales. In your opinion, of all the material you provide in The Million Dollar Maverick, which do you think will be of greatest value to leaders in small companies? Please explain. Answer: I never self-edit. I write or speak what’s on my mind and don’t worry about whether my four points should have been six, or the prior remark was accurate enough. I’ve found that success trumps perfection, and that has worked for me every day of my life. And it worked with this interview!